Welcome to the 2012 fall semester at CPCC! As we gear up for the fall 2012 semester – classes begin August 9 – we want to share some important reminders to help you during the first week of class. Remember, CPCC is a tobacco-free college. All tobacco products are prohibited everywhere at all times. We thank you for your cooperation. Attend class on the first day. View and print your class schedule at My College (http://mycollege.cpcc.edu/) or through the Student Portal (http://my.cpcc.edu/). Bring a copy of your class schedule to ensure that the location has not changed. Note both the campus and building name for your classes. Look for information tables on campus to help you locate your classrooms or answer questions. PLEASE NOTE: Sunday (8/12) is the last day to add a full semester class without prior permission. Plan to arrive early to allow enough time to park and find your class. Traffic is heavy during the first two weeks of class. Visit http://www.cpcc.edu/campuses for information about each campus. Park only in areas designated for CPCC students. Local businesses do enforce towing. Student parking decals are available at any campus Cashiering office during regular operating hours and in Central High Room 263 from 10 a.m. – 4 p.m. Monday through Friday during the first two weeks of school. Decals are also available in the lobby of the Levine IT building on Central Campus from 9 a.m. – 1 p.m., Thursday (8/9) and Monday (8/13) through Thursday (8/16). Parking decals must be displayed by August 19. Use your CPCC Login to access My College (http://mycollege.cpcc.edu/) to find important information such as residency status, priority registration dates, enrollment verification, critical alert information, your student ID number and much more! Pay your tuition by the due date to avoid being dropped from your classes. For payment information and due dates visit CPCC Cashiering (http://www.cpcc.edu/cashiering/tuition-payment-dates). Log into My College (http://mycollege.cpcc.edu/) to view your fall 2012 tuition bill. You will need your student ID to check out materials from the Library, use the testing and fitness centers, or access the computer labs on campus. Student Identification Card information is available online. Read CPCC Today, your student e-newsletter sent to your CPCC email every Wednesday. CPCC Today (http://www.cpcc.edu/cpcc-today) covers a wide range of useful information from registration, parking and payment to important dates and events. Have you received your CPCC Debit Card? If you’re a new curriculum student registered for fall 2012 who receives financial aid, you will receive a CPCC Debit Card. Remember this is NOT a credit card but a refund only card. Once you receive your card, follow the included instructions and select your refund choice. Keep your card in a safe place even if you do not expect a refund this semester, as there is a replacement card fee.If you have not received your card, make sure you have updated your address through MyCollege (http://mycollege.cpcc.edu/). For more information, visit www.cpccdebitcard.com. If you have any questions regarding the CPCC debit card, please contact Higher One at 1.866.782.0821 or the cashiering office at 704.330.6964. Your CPCC e-mail account as it is the official means of college e-mail communication to you so please check your account often. We are here to assist you and are ready to help you reach your academic goals. If you have any questions, call the CPCC Information Center at 704.330.2722 or visit the Student Success Center on your campus. The refund policy at CPCC is established by the North Carolina Community College System (NCCCS) and is subject to change without notice. CPCC will apply this policy without exception. ● Curriculum Courses: The current refund policy allows a 100% refund of tuition paid for curriculum classes dropped prior to the first day of the academic term. A 75% refund is issued for curriculum classes dropped on or after the first day of the term through the 10% point of term. Tuition paid and applicable fees will be refunded 100% for classes cancelled by the College. ● Lab Fee, Student Activity Fee and Insurance: Appropriate lab fee amounts will be refunded if the class is cancelled by the College or the student drops a lab class during the 100% refund period. 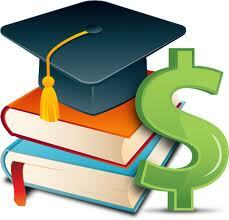 Student activity fees or student insurance are not refunded unless the class is cancelled by the College. ● CAPS Fee: Students who enroll in curriculum courses but officially drop all their courses prior to the first day of the academic semester will have the CAPS Fee refunded. ● Refunds: Students will receive a CPCC debit card from HigherOne upon initial registration if they have not received one previously. PLEASE NOTE: The CPCC debit card is NOT a credit card. The purpose of the debit card is to provide a more efficient way to issue refunds to students. DO NOT THROW THE CARD AWAY. This card will be used for all refunds for financial aid and curriculum students. Please store the debit card in a safe place after activation in case you need it during your college career at CPCC. For more information regarding the debit card, please visit the CPCC debit card website. If you have any questions regarding the CPCC debit card, please contact Higher One at 1.866.782.0821 or the cashiering office at 704.330.6964.